Our household has been cable free for a little over year now. We currently have an OTA TV antenna setup as well as Netflix, however I've always kept my ears open for new sources of content. My coworker started raving about some of the plugins available for XBMC (now called Kodi) and how you don't have to torrent any content, you just stream it to your computer. It wasn't until the news about the Canadian Copyright Modernization Act early this year and ISPs mailing letters to torrenters on content owners behalf's that I came back to the XBMC idea... and I've been in love ever since. After awhile, I was getting annoyed at how in order to output sound to my TV from my computer I'd have to disable a number of settings on my computer. A problem that I simply didn't want to deal with anymore. Then the RP2 was announced! Knowing that XBMC worked on the Raspberry Pi, in a complete impulse buy I snatched one up on day one. A couple weeks later I received my unit. Having never set one up before I went to the google where there wasn't much for nice 'how tos' on setting them up. So I figured I'd write one (and dust off my blog at the same time). I knew that the RP didn't come with anything, but I don't think it really donned on me until I opened the box. Judging from the forums I've seen over the past few weeks, not a lot of people seemed to know it came with nothing. A power cable. The Pi 2 uses a micro usb cable and requires AT THE MINIMUM 600mA of power. This means the cable you use to charge your smartphone ISN'T good enough. Your better off getting one for charging tablets (around the 2 amp range). I paid $20 for mine, but I'm sure you can get them cheaper. A Micro SD card for storage. As of this writing, I saw a 16gb one online for $8. An HDMI cable to plug into your TV/Monitor (If you don't have one kicking around already). 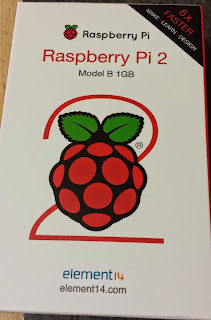 This will be entirely dependent on how you want to you use your Pi. Go to RaspberryPi.org and download the linux distro you'd like to use. Options include raspberry pi optimized versions of: Debian, Ubuntu, and Fedora. For an even easier time, they've created a "NOOBS" distro (on Debian) for people new to Linux as well. Unzip the package and copy the files to your SD card. Plug the card into your Pi. Plug in the HDMI cable. Plug in your USB KB/Mouse (mine are wireless). Plug in the power cable (plugging in the power will turn it on, thats why do it last). 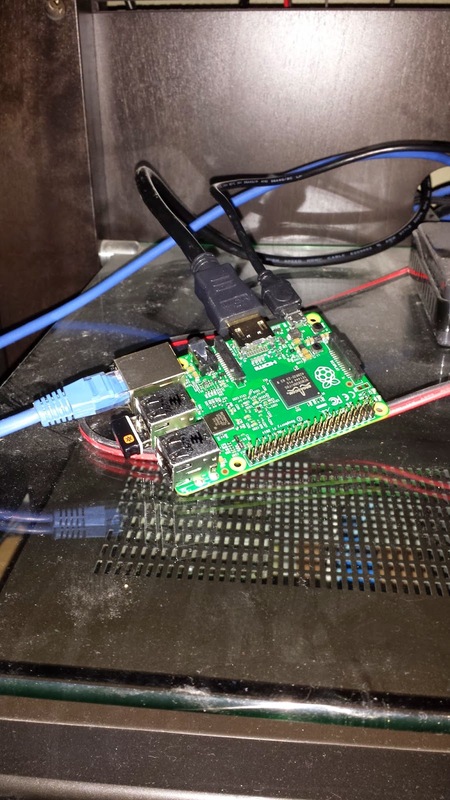 Getting started with NOOBS from Raspberry Pi Foundation on Vimeo. On the Raspberry Pi, XBMC goes by a few names: Raspbmc or OSMC. Raspbmc is nearing the end of its lifespan while OSMC appears to be taking the reigns where Rasbmc left off. Go here and download the installer. You're installing a program that will setup your Raspberry Pi's SD card, so simply select the OS of the computer you're going to do that on. Plug your SD card into your computer and run the program you just downloaded. You simply have to answer which drive to install OSMC onto and what kind of Raspberry Pi you'll be running it on. Once the installer is done, plug your SD card into your Pi (and HDMI cable and KB/Mouse) and turn it on. Congratulations, you're now the proud owner of an HTPC! (Optional) I HATED the default skin of OSMC, however, it comes with the regular skin that is normally bundled with Kodi (its called "confluence"), I suggest you switch your skin to that (until you start fiddling with Kodi settings and find a community created skin for the UI that is perfect for you). I should note that Raspbmc and OSMC are not the only Raspberry Pi-compatible media centers out there. Others of note are OpenELEC and Xbian. I love my new setup. When compared to my gamer-grade PC, streaming HD content is a bit slower on the Pi. Sometimes I like to give it a min or two two pre-buffer before I start watching (I haven't noticed the need to do this with DVD-quality content though). That said, when I accessed 1080p content from my NAS it loaded instantly and no need to buffer, so this could be a network issue. 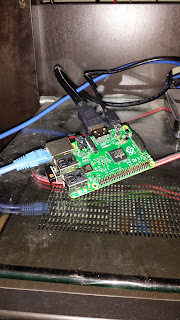 I did notice while playing around with OSMC that the temperature of the CPU on the Pi was at 102°F... and that was just from me playing around with it, I wasn't watching anything at the time. So you may want to consider cooling options for your Pi. I've seen three-packs of heat sinks with pre-applied thermal tape for under $10 online. You may also want to add a 5v fan for the unit (which you can also find online for under $10). If you're going to be displaying your Pi proudly alongside your TV, you may also want to consider a case. This will also have the added benefit of keeping small fingers off the guts of the device.